The Thompson Divide is hot-button issue in the CD3 race, with local communities opposed to oil and gas drilling there (photo courtesy of Thompson Divide Coalition). 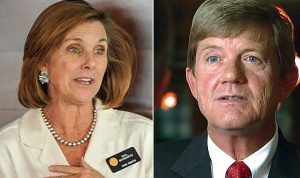 The race for Colorado’s 3rd Congressional District seat encompassing most of the state’s Western Slope has become somewhat of a one-issue campaign for both incumbent Republican Scott Tipton of Cortez and Democratic challenger Gail Schwartz of Crested Butte. It’s all about public lands and how best to make money off them. Tipton, showing clear signs his race for CD3 has tightened in recent weeks, is aggressively calling out former state Sen. Schwartz for her comments and ads accusing Tipton of seeking to sell off federally owned public lands. Schwartz charges Tipton has sold out to coal mining and oil and gas companies and wants to transfer public lands to state or private ownership in order to increase domestic fossil fuel production. Schwartz, a Crested Butte Democrat who previously worked in ski-area design, favors preserving public lands to boost the outdoor recreation industry. In recent weeks she’s been endorsed by former Secretary of the Interior Ken Salazar, Gov. John Hickenlooper, former U.S. Sen. Mark Udall and the Outdoor Industry Association, with groups like Conservation Colorado plowing significant money into ad campaigns backing Schwartz. She also has garnered newspaper endorsements from seven of the eight publications in the district that have done endorsements, including the typically conservative Grand Junction Daily Sentinel, which called Tipton out for being overly partisan. But Tipton maintains he’s not just a one-trick pony for the oil and gas and coal-mining industries. “If we’re talking about outdoor recreation and protecting those public lands, let’s look at the Hermosa Creek bill that I had signed into law, that we were able to pass through a Republican-controlled Congress to be able to create those opportunities down in La Plata County,” Tipton said on a press call in September. The Denver Post reported that Tipton’s 11th-hour amendments nearly derailed the Hermosa Creek Watershed Protection Act in 2014 but the bill ultimately protected 38,000 acres of public land as wilderness and designated another 70,000 acres a “special management area” allowing ATV riding, timber harvesting and other activities. Mining was allowed on about 2,400 acres. Tipton campaign spokesman Michael Fortney told The Colorado Statesman that the Cortez Republican has consistently maintained that public lands should remain public and that the Schwartz claim he’s trying to sell off public lands is an outright falsehood that should be retracted. Fortney also derided the fallacy of Schwartz criticizing Hermosa Creek over snowmobiles when she constantly promotes public lands for outdoor recreation. “If you look at Scott’s record, he’s always said public lands should stay public,” Fortney said, adding Tipton does not support the public lands section of the Republican Party platform approved at the Republican National Convention in Cleveland in July. Fortney added Tipton would like to get back on the House Natural Resources Committee, which deals with many of these public lands issues, after previously serving on the committee but moving to the House Finance Committee to support community banks in CD3. Schwartz, in a phone interview last month, said Tipton has long resisted expansion of public lands and only reluctantly supported a few proposals in the face of overwhelming public pressure. She also called him out for making a fortune off tourism reliant on public lands with his former company Mesa Verde Pottery without truly supporting the concept of national parks. “He’s so disingenuous,” Schwartz said of Tipton, who sold the company that’s 10 miles from Mesa Verde National Park to the Ute Mountain Ute tribe. “He wants to sell off our public lands where he made his livelihood off of our national parks. But Fortney counters Schwartz can’t point to a single bill Tipton has sponsored or supported that calls for the wholesale disposal of large swaths of public land that the federal government didn’t already want to get rid of for management purposes. The HEARD Act, or Hunting, Education, and Recreational Development Act, which Schwartz points to, deals with the sale of lands the government has identified for disposal and how the proceeds from such sales will be allocated, Fortney says. Tipton argues he has in fact been successful increasing protections for federally owned public lands in his district, pointing to his efforts to protect Chimney Rock near Pagosa Springs as a national monument. “We got it through the House of Representatives to be able to create those outdoor opportunities, tourism opportunities down in Chimney Rock as well,” Tipton said, adding that the bill died in the U.S. Senate before the designation was ultimately made by President Barack Obama in an executive order. Schwartz also slams Tipton for blocking the San Juan Mountains Wilderness Act, introduced by his Democratic predecessor, John Salazar, who first floated the 61,000-acre protection bill in 2009 before losing his seat to Tipton. 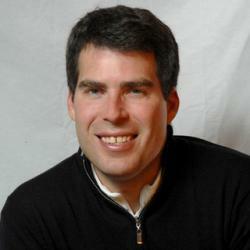 Schwartz recently received the endorsement of Salazar’s brother, former Colorado senator and U.S. Interior Secretary Ken Salazar. 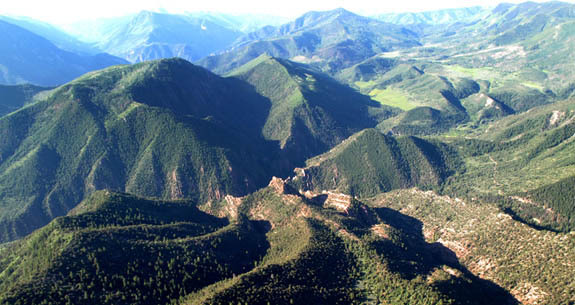 Advocates for the proposed Continental Divide Wilderness and Protection Act say Tipton’s refusal to support an earlier and much more controversial Hidden Gems plan – which overall sought wilderness protection for 340,000 acres in four counties – led to that plan being watered down significantly and lands in Pitkin in Gunnison counties being stripped out entirely. Asked in August where Tipton stood on the latest wilderness proposals, including the newer Gunnison Public Lands Initiative, a Tipton staffer referenced his Western Colorado Wilderness Study Area Release Act, which actually removes federal lands in Delta, Jackson and Mesa counties from wilderness consideration. As for the Continental Divide proposal and the Gunnison plan, both of which are locally driven with wide-ranging support, Fortney says Tipton is not necessarily opposed. “You can’t say Scott’s against something just because he’s not for everything,” Fortney said, noting there are numerous proposals for greater protections that are floated every year. He also rejected claims that Tipton wants to sell off public lands because he voted no on an amendment by U.S. Rep. Jared Polis, D-Boulder, that would have blocked funding for such efforts. Fortney says the amendment was political grandstanding and completely unnecessary because there was no such effort being considered at the time, but Conservation Colorado counters the amendment was needed in the wake of growing Republican support for divesting public lands. “I do think that the Polis amendment– while symbolic– was an important vote for taking the temperature of where various members of Congress stand on this issue,” Conservation Colorado spokeswoman Jessica Goad said. The Schwartz campaign also accuses Tipton of running misleading ads that blame her legislative role in promoting former Gov. Bill Ritter’s “New Energy Economy” for destroying Colorado’s coal-mining industry. Renewable energy policies were needed to clean up Front Range smog and combat climate change, she says, and Colorado coal is suffering from cheap natural gas and decreasing demand in global markets. Tipton says high-paying coal-mining jobs are what’s best for his constituents.